Discover a dental practice that is committed to your family's oral health! Living by three principles to deliver gentle and compassionate dental care. Our patients are the reason we continue to grow and thrive in this great community! As your chosen dentist in Lititz, PA, we always strive to build long-term relationships based on trust. When you choose us for your dental needs, we’re confident you’ll be part of our dental family for life. Our dental team is compassionate and passionate about you and the joy of a brilliant, healthy smile! We’ll take the time to get to know you as a person and discuss your reasons for visiting our dental office. Tell us what you need - we’re here to help! Our promise to you: We’ll never recommend treatment we wouldn’t even provide to our own family. Instead, we’ll take the time with you to explain why you need treatment and work within your needs to ensure you’re satisfied with the results. We can help put your dental fears to rest. Are you avoiding the dentist because of a bad experience? With Dr. Berg and our caring dental team, you’ll experience genuine care. We’ve created an environment filled with comfort, friendliness, and pampering amenities. We offer relaxing amenities to create a comfortable dental experience, including headphones, blankets, neck wraps, and refreshments. 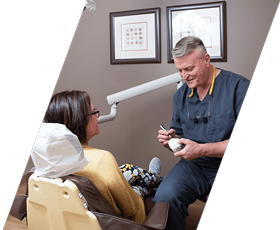 Your kind and caring dentist in Lititz, PA.
For more than 25 years, Dr. Berg has had the privilege to call Lititz home. 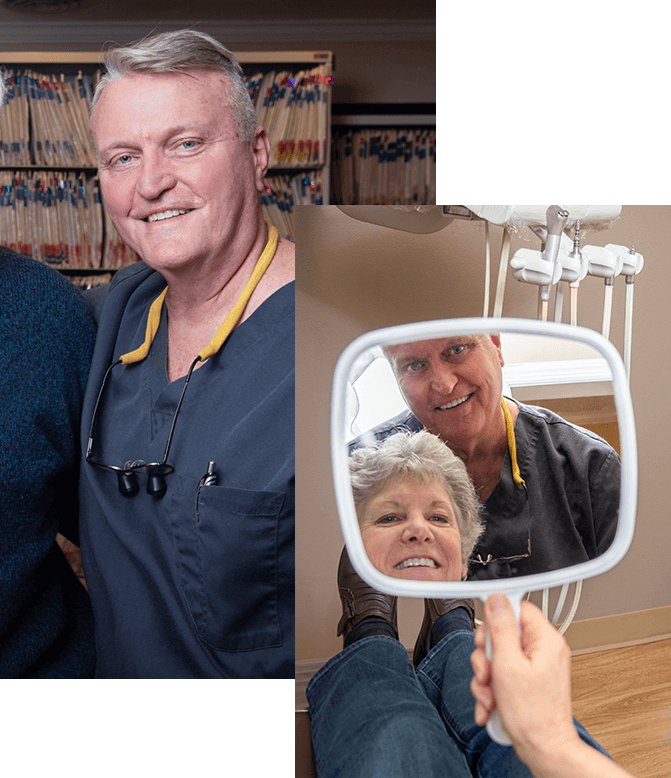 His commitment to providing sincere and compassionate dental care for his patients remains the same today as when he first opened Richard M. Berg, DDS. As your dentist in Lititz, PA, Dr. Berg takes a holistic approach to ensure your teeth, smile, and body are healthy. Every dental service we do has an aesthetic focus to it. By focusing on every detail of your lips, gumline, and facial characteristics, we can help you have a smile to be proud of. Keeping your natural teeth is the best kind of smile. We always take a preventive, conservative approach with your care to prevent small issues from becoming bigger and more expensive problems. Are you missing teeth or do you have severely damaged teeth? Restorative dentistry restores your smile so you can eat, speak, and smile with confidence once again! “We moved to the Lititz area in 1990 and shortly met Dr. Rich Berg who became our family dentist. Rich and his staff have excellent professional skills as well as taking a personal interest in the well being of each patient. Rich is not only our dentist, but he has also become a good friend. Our commitment to you is to listen carefully to your questions and concerns in order to understand your personal dental goals. 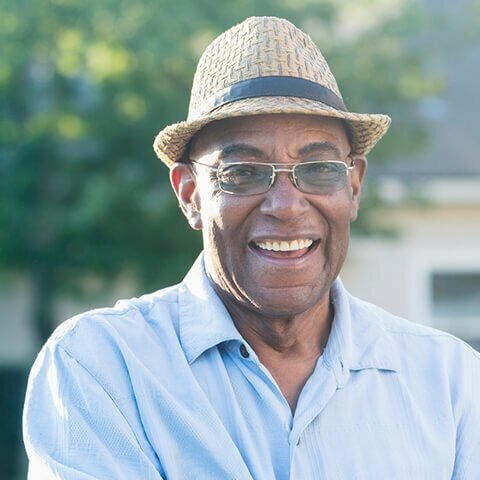 With your caring dental team and dentist in Lititz, PA, we’ll develop a customized plan of treatment that is unique to you and your dental needs. 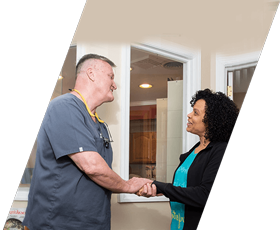 We strive to care for you in a relaxed and friendly atmosphere and respect your time and budget, without compromising the quality or standard of care you deserve. We do accept most dental insurance plans. No Dental Benefits? We Have You Covered! Ask us about our in-house payment plans and we even accept CareCredit. Ready to make us your dental family for life? We’re thrilled to welcome you! For your convenience, fill out our New Patient forms by downloading them online. We fit into your busy schedule with early, evening, and lunchtime appointments. If you received a dental diagnosis and are unsure if it’s what you need, feel free to schedule a complimentary consultation with us. 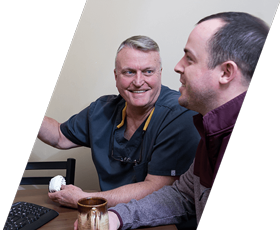 Dr. Berg will give you a visual tour of your mouth and provide his honest recommendations to help you feel confident in your dental decisions. No strings attached. Proud to provide high-quality dentistry to Lititz, Lancaster, Manheim, and Ephrata, PA.